For 333 years, the Spanish ruled the Philippines. They had a dessert called manjar blanco made with almonds, milk, sugar, and gelatin. 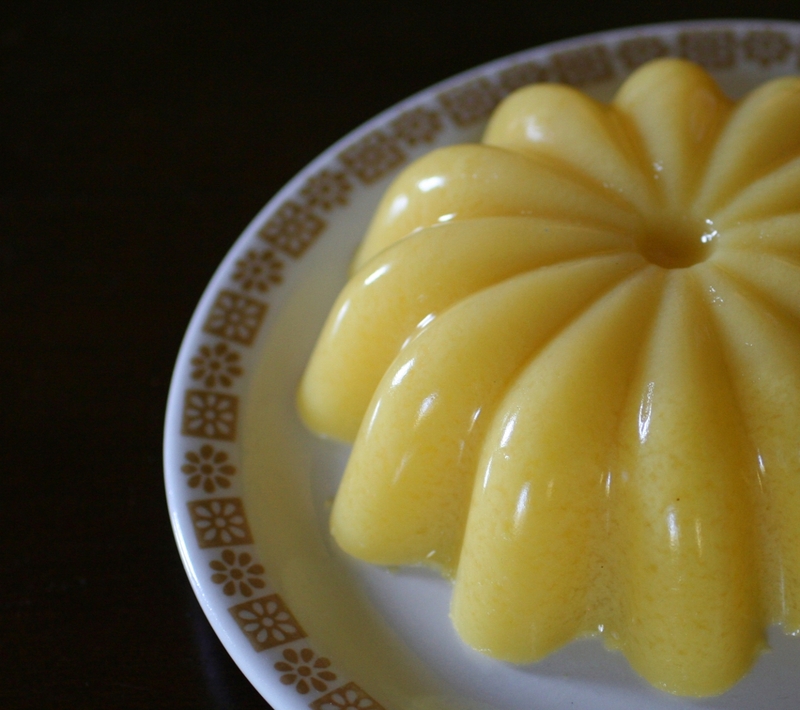 It is similar to blancmange or panna cotta. The name literally translates to “white delicacy” because of its original color but people have altered it and have produced their own versions using ingredients such as citrus, berries, or chocolate. The Northern Filipino version called maja blanca is made of coconut milk, fresh corn, and agar agar (a gelatin substitute made from seaweed) because these ingredients were plentiful. I love its buttery yellow hue. 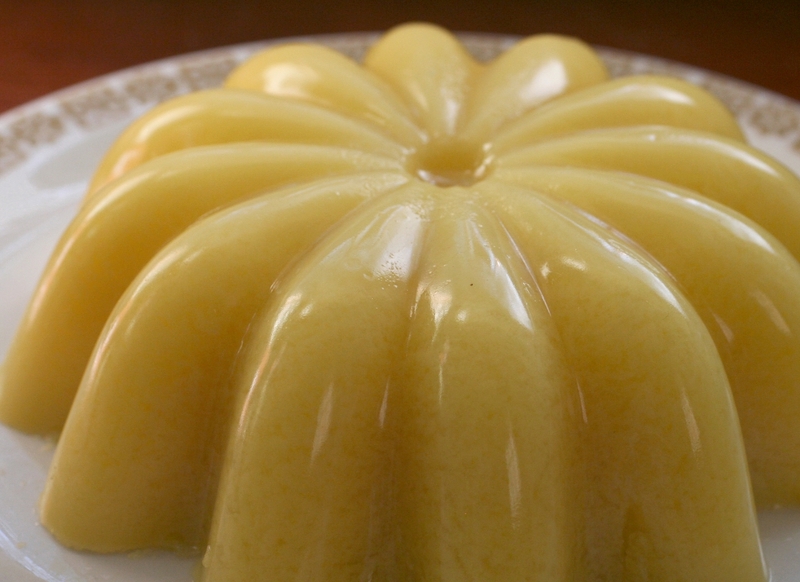 I remember my Great Uncle Jesus making this dessert back in the old country. (He was named Jesus because he was born on Christmas Day, another thing the Spanish brought to the Philippines.) His way of making this dessert involved a lot more work than how I made my version. He would go pick out some mature coconuts, grate the meat, and squeeze out the milk using a cheesecloth. After that, he would harvest some young corn from the field, grate, then also squeeze out the milk using the same process mentioned above. After that he brought the coconut milk and corn liquid slowly to a simmer then added some sugar. Sometimes he used cornstarch to set it and other times he used agar agar. He would then pour the hot liquid into a thin pan then he let it sit on the dining table to set. That was the hardest part for me. I remember testing it probably every few minutes with a finger. By the time it was ready you could see finger dents on the edges! I can never get the recipe out of him so I made my own recipe using my memory of how it tasted. I think this was pretty darn close though he would probably not approve of diluting the coconut milk with cow’s milk and water but I didn’t want it to be too fatty. Cut the corn off the cob. 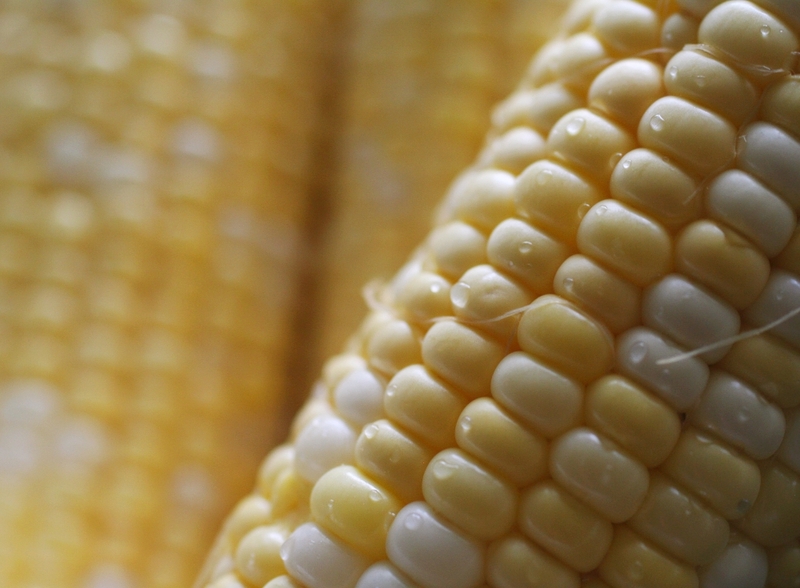 Place the corn in a blender along with 1 cup water. Strain using a fine metal sieve or cheese cloth. In a medium sized pan gently bring the corn liquid, coconut milk, and sugar to a simmer. Simmer for about 5 minutes then add the agar agar powder. Cook for 2 more minutes then transfer into a mold or a shallow pan (if you want to eat it sooner). 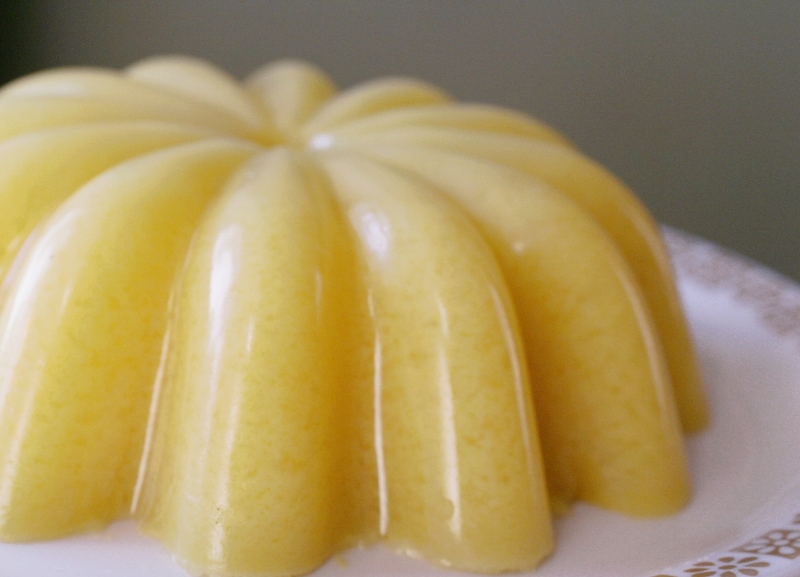 *Strain as your are pouring it into the mold or pan for a smooth consistency. If you’re using a mold, place it on a sheet pan so that you don’t burn your fingers like I did when you transport it to the refrigerator. Cover with plastic wrap and let it cool in the refrigerator. It will take about a couple hours to cool and set. Put the filled mold in a large bowl with some hot water to loosen the maja blanca then flip onto a serving plate. Slice and serve. It is served with latik (coconut milk that has been cooked for a long time until golden brown and curdled). You can substitute using some toasted coconut flakes or enjoy as is.